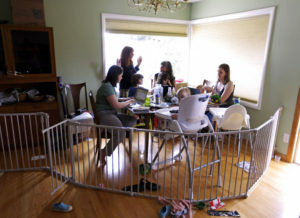 PORTLAND, Ore. (AP) — Immigrants who have spent years fighting to change the country’s immigration system are getting newfound support from liberal activists, moms and first-time protesters motivated by a visceral narrative: President Donald Trump’s administration separating children from their parents at the U.S.-Mexico border. Groups that pulled off massive women’s marches the past two years and other left-leaning rallies are throwing their weight behind migrant families Saturday. More than 600 marches could draw hundreds of thousands of people nationwide, from immigrant-friendly cities like Los Angeles and New York City to conservative Appalachia and Wyoming. She and others are undaunted after nearly 600 women wearing white and railing against the now-abandoned separation policy were arrested Thursday in Washington, D.C. With demonstrations emerging nationwide, immigrant advocacy groups say they’re thrilled — and surprised — to see the issue gaining traction among those not tied to immigration. In Portland, Sharaf and other mothers are working to organize a march expected to attract 5,000 people — all while they change diapers, nurse babies and prepare snacks. They have marched for women’s rights but have never spearheaded a political rally, which isn’t related to an 11-day vigil at an U.S. Immigration and Customs Enforcement office in Portland that led to arrests this week. That’s in contrast to the sit-in in the nation’s capital Thursday, where participants knew they might be arrested. In El Paso, Texas, immigrant advocacy groups are partnering with religious leaders and women’s march organizers Saturday to try to shut down the bridge connecting El Paso and Ciudad Juarez, Mexico. In Los Angeles, Angelica Salas said she has been marching to fix the immigration system for nearly two decades. The executive director of the Coalition for Humane Immigrant Rights said she would often tell people about how immigration enforcement was splitting up families and non-immigrants couldn’t believe it. 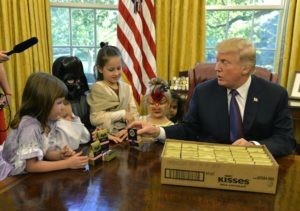 Podcast: Why Mommy Drinks #32 – Break The Bank! Being the mom to three daughters under the age of 10 is a full-time job in itself, and this morning, we found out the latest thing causing Dana to hit the bottle. What is draining her energy and her account balance this week? 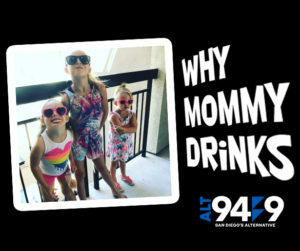 We have the answers with this edition of Why Mommy Drinks. This mom’s response to her son drawing on the wall is amazing, but that’s an understatement. She deserves a mommy of the year award for sure. Instead of yelling at her child, she chose to foster his creative side and build self-esteem at the same time teaching her children a lesson. When Mom (Kim Massicote) walked into the living room and noticed that her 6 year old son Ryan decided to express his artistic talents by drawing on the living room wall with a marker to teach his 4-year-old brother how to draw a house, she was less than thrilled to say the least. The best part is Kim chose not to get mad, or erase the drawing. Instead she put a small frame on the wall around the drawing with a museum like tag that read: “Interrupted House, 2017. Marker on latex paint. Gifted to his parents, by surprise.” The kids didn’t really get the joke, but they did get the “picture” that drawing on the wall was a big no, no. Her husband Eric took to Twitter with the story. How wonderful that they learned a lesson in such a loving manner. Kudos mom…very well done.